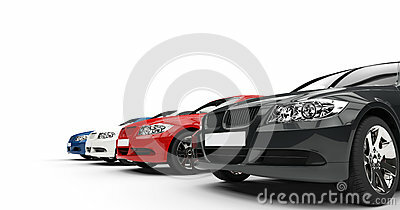 Row Of Cars shot on white background, ideal for digital and print design. Design of the city car concept in a futuristic style. 3D illustration.